Monrovia, Liberia - The President of the Republic, H.E. Dr. George Manneh Weah, has departed the country today Monday, April 1, 2019 for Dakar, Senegal, as guest of his Senegalese Counterpart, Macky Sall. 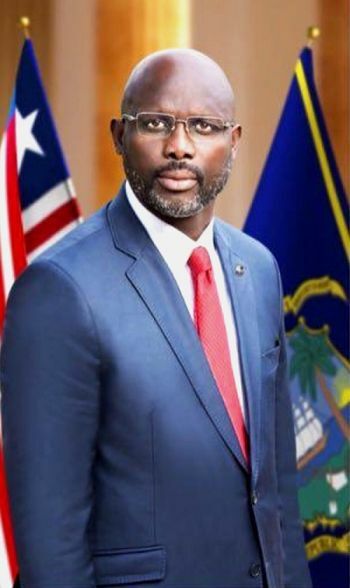 The Liberian leader will join more than 20 world leaders gracing Senegal’s Independence Anniversary celebrations on April 4, 2019 and the inauguration of host President Macky Sall for his second term in office. President Sall’s inauguration takes place on Tuesday, April 2, 2019 following a landslide victory in the country’s general elections on February 24, 2019. While in Senegal, President Weah will hold discussion with Turkey Vice President, Fuat Oktay. The meeting is expected to center on improving and rekindling bilateral ties between Liberia and Turkey. Also, on April 3, 2019, the President and delegation will meet with several investors including executives of Group FESTO ALTAY, Global Green International Holdings and the Help Team. While President Weah is away, the Minister of State for Presidential Affairs, Hon. Nathaniel Farlo McGill will chair and coordinate the Cabinet in consultation with the Vice President and in telephone conversation with the President.